This week’s Fun Friday post is a variation on a previous blog…. but after Greenside Up shared a photo with me of a multi-coloured rose, I just had to try to recreate it. 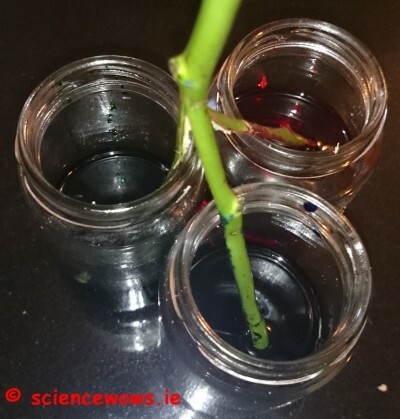 This experiment is a great way of explaining transpiration… or just creating a colourful rose to dazzle and amaze your friends. Water is transported up the stem of the flower through little tubes called xylem. The coloured water will travel through the xylem all the way up the stem to various parts of the plant and right up to the flower. The water ultimately evaporates out of the plant through little pores called stromata. This process is called transpiration and is much like perspiration in humans. 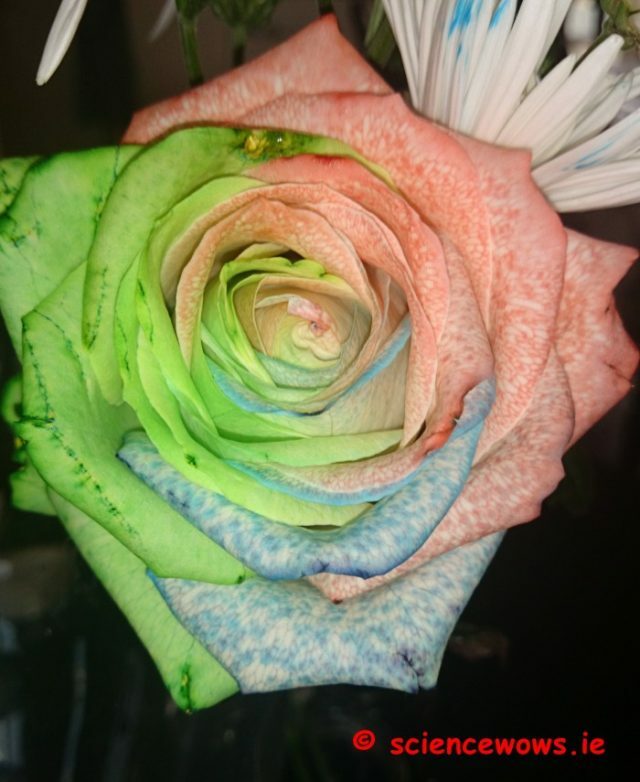 The food colouring is drawn up the xylem along with the water, and changes the colour of the petals when it reaches the flower. Different parts of the flower receive their water supply from different xylem, hence different parts of the flower end up different colours. Now I have a question for you…. 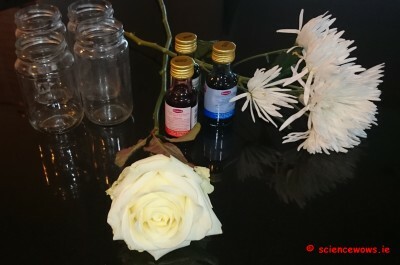 if you remove the flower once the petals are coloured and place it back in plain water…. will the petals retain their colours or lose them? Let me know what you think, or even better, try it out and see!